Pokie machines continue to be one of the most popular forms of gambling entertainment around the world and are particular popular around Australia, Las Vegas and the new mega Chinese casinos. Travel around the major cities throughout Australia and you would be hard pressed not to encounter Australian pokie machines which in fact is the Aussie slang term used for slot machines. Many believe this was derived from the act of poking the machine with your finger. In 1953 the very first pokie machine Clubman was developed by the pioneer of slot machines in Australia Len Aisnworth and his company Aristocrat. When the NSW government opened up legislation to allow slot machines and gambling with money the popularity and range of games exploded. Over the years the machines changed from being handle pull operated to more sophisticated video and computer controlled. This changed the history of gambling forever and introduced the world to pokies. 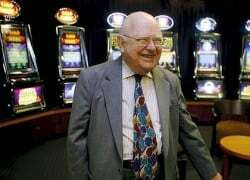 Through his company Aristocrat, Len Ainsworth built a massive empire selling his slot machines all throughout the world including the UK, USA and Asia. These days most slot machines are touch screen operated, note fed and have linked progressive jackpots, interactive features and mini bonuses. There are a number of pokie machines that have stood the test of time and continue to be enjoyed many decades after their original release date, almost developing a cult status. Most of the very popular slots have been introduced by Aristocrat from Queen of the Nile, 50 Lions, Mr Cashman, Geisha, 5 Dragons and Wheres the Gold. Probably the most exciting part of playing these games are their bonus features which come in the form of free spins, bonus picks and jackpots. 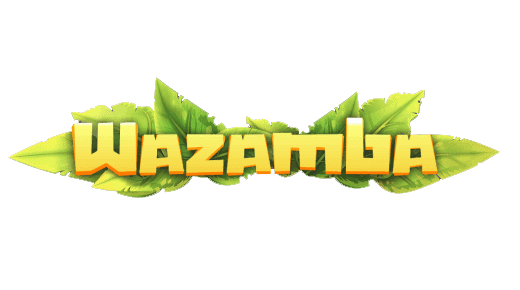 Free spins along with magical themes, elusive graphics and catchy sound effects create an addictive pokie machine. Decades of growth in popularity have lead to rows and rows of pokies available to play at the top casinos around the world. In fact they are not limited to casinos, pubs, clubs, bars, restaurants, hotels can license the many games available. Here we feature some of the most popular land based pokie machines that have kept Aussies entertained for many years. These slot machines are instantly recognisable and have developed somewhat of a cult status over the years. Ever since Aristocrat developed the first pokies machine in the 1950’s, the technology and range of games has exploded. So much so that many of the popular games like Queen of the Nile have been adapted into King of the Nile and Queen of the Nile II. The graphics and interactive features of these slots have certainly come a long way. From the days when the reels were triggered with the pull of a manual handle to the types of machines we have today with touch screens and linked progressive jackpots. There are some Aristocrat pokies emulators online to download, however the best way to experience similar games is through downloading pokies online. Countries all around the world have different laws and regulations when it comes to online gambling. Countries like the US strictly prohibit online casinos, however countries around Europe have a more liberalised approach allowing many forms of gambling online. Recently Australia has tightened up their Interactive Gambling Act and countries like New Zealand allow players to enjoy the many online slots offered by offshore companies. However there are constant changes in regulations providing that over time it will be inevitable that more and more betting games will be played online. It is important to check in your jurisdiction whether you can play real money games or revert to free pokies online. Major developers like Aristocrat, Play’N Go, Betsoft and Pragmatic Play manufacture and distribute a massive range of slots online through online casinos. Thesedays games on offer are simply amazing and much like the traditional games spun over 5 reels, ranging in paylines and bonus features. No longer do you need to download and install software as most modern day games are played instantly in browser or on mobile.